"Two years ago, on a road-trip through New England, I stopped by the infamous Lizzie Borden House in Fall River, Massachusetts. The popular 1892 skipping-rope rhyme goes like this: “Lizzie Borden took an axe and gave her mother forty whacks. When she saw what she had done, she gave her father forty-one.” In reality, Lizzie’s stepmother was struck eighteen times, and her father eleven. But when it comes to the Borden case, just like the rhyme, there’s great deal of fiction salted in a mutton broth of truth—and the tie between fact and fiction doesn’t end with Lizzie’s claim that she couldn’t possibly have murdered her parents (haven’t you heard? Poor Lizzie was in the barn eating pears when it happened!). Fact and fiction are so closely entwined in the Borden story that, after filming The Legend of Lizzie Borden in 1975, Elizabeth Montgomery discovered a Borden-Montgomery connection—Lizzie was her cousin! Preserved to appear just as it did when the ghastly Borden murders took place there at the end of the nineteenth century, the house now offers overnight stays. I didn’t have the gumption to spend the night in Lizzie Borden’s bedroom—two hours in the creaking, low-ceilinged clapboard house was enough to have me pulling off the I-93 and into Dunkin’ for something a little stronger than my regular decaf. But as I continued on through New England, I couldn’t rid the house’s hair-raising vibe from my mind. There had to be a story there! On my way home to Sydney, I started piecing together Where There’s a Will. One particular memory of my time at the Lizzie Borden Bed and Breakfast kept playing on my mind—a quick blur of movement in the doorway as an employee trailed behind our tour, waiting to strip Lizzie’s bed for that night’s guests. I couldn’t help but wonder: how does somebody come to work in a house with such a horrible history? Thirty-thousand feet above the North Pacific, I had it—a comedy, a contemporary romance, and two very different women with one hell of a hatchet to bury." Lex Kent’s Reviews - I was also a big fan of the characters. Both have their flaws and were actually a bit opposites attract but I really liked them as a potential pair. …I have to give Hale props for not waiting to the 90% mark to mess with her characters. Her characters have drama, this is not an angst free book, but the way Hale did it is the way I wish romance authors would tackle this issue. The book flowed so much better for me the way Hale wrote it. If you are looking for a romance and storyline this is different than the same old, get this book. Hale is a quality author and I can’t wait to see what she puts out next. 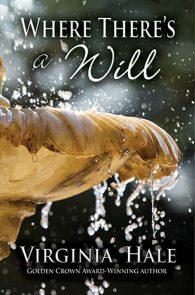 Pin’s Reviews - Where There's a Will is a very good second novel by the Australian author Virginia Hale. The main conflict is over a murder house they jointly inherited. Dylan sees it as her everything in life, but Beth wants to sell it to get out of huge debts. This creates a conflict between these two good people. Through the resolution of this conflict, the author gives us a very satisfying ending while also creating an interesting and warm story of interpersonal relationships. With all main elements done really good this makes another solid read by the author, very well worth reading. I recommend it, and am looking forward to her next book. Gaby’s Reviews - Written in third person from the point of view of both main characters, the reader has a prime seat to both leads’ strengths and failures. Their chemistry builds up slowly but surely and when it gets to the sizzling point is a delight to read. This author manages the characters’ feelings perfectly, the reader couldn’t get any closer to them. Ms. Hale has the ability to pull off an incredible hot scene and, in a couple of paragraphs, throw a proverbial bucket of cold water on the reader. Their emotional journey is realistic and moving. Bethany’s Reviews - Even though you wouldn't think that a romance in a murder house could work, somehow, Hale made it happen! This is my first read of a Hale novel, and she really managed to surprise me. This whole book was just different—in a good way. I will absolutely pick up Hale's next novel, and hope that it's just as 'out there' as this one was. Beth pressed the driver’s window down. The crisp winter wind licked at her skin, whipping the ends of her blond hair against her jaw. Fighting a shiver, she reached for the hair clip on the console. She’d almost forgotten how the mercury always plummeted as she approached the Hunter Valley turnoff. Like the events of the past week, the country chill was a shock to the system. Pulled from chimneys, smoke permeated the clean country air and melded with the earthy scent of the storm Beth had been chasing all morning. Thankfully, the heavens had opened up while Beth was safe and warm in the McDonald’s rest stop an hour back down the motorway. By the time she’d read The Sydney Morning Herald cover to cover, the rain had all but ceased. The downpour had been quick, torrential…as watery as her cappuccino. Beth sighed as she turned off the motorway and took the first roundabout exit to the Hunter. She was going to miss the used bookstores on King Street and the art house cinema at the end of her little lane. Perhaps she’d even miss the hipsters that flocked from nearby Sydney University to scour the flea market in Newtown Square. Mostly, she was going to miss inner-city coffee, civilisation, and the central heating of her beloved Newtown terrace house. There would be no luxuries for the next however-long-she-was-away-from-home. She was up to her eyeballs in debt, and with no idea of how long she would be casting away dead money on rent in Jembala Lakes, a single option presented itself. House-sharing. Do not think about that time you travelled to the UK between undergrad and master’s. Do not think about that London backpackers’ hostel, or that bathroom you shared with four twenty-year-old boy-men. And do not, under any circumstances, think of the state of the bathroom. At least this time I’ll be living with another woman, Beth reasoned. And I can definitely get along with women. When she’d received the solicitor’s call the week before and was subsequently thrown headfirst into considering where the hell to go from there, she’d rationalised that renting for a few months in a slow-motion country town wouldn’t break the bank, especially when she was letting out her Newtown terrace to her neighbour’s visiting sister. Surely rent would be cheap, Beth had thought. Jembala Lakes was a pin drop in the middle of nowhere, an insignificant, key-shaped puzzle piece on a map. Situated in stunning wine region Hunter Valley, Jembala Lakes was a buffer between the tourist village of Pokolbin and Mount Blarney, the one-horse town that had almost lost its postcode when its ambitious water park was abandoned in the early noughties following the aftermath of Cyclone Sally. All that Jembala Lakes offered the rural district were rolling hills and forgettable Finger Lakes—and a gruesome history. If she had managed to keep a roof over her head in Sydney’s inflated housing economy, she could afford Jembala Lakes. It had been a decade since she’d lived in Jembala Lakes. 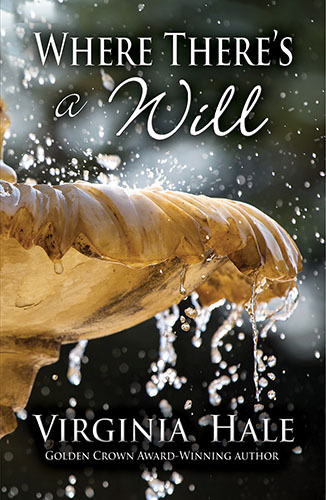 Back then, she’d been a twenty-seven-year-old PhD student living with dear old Elma Blaxland in the Blaxland Homestead on the outskirts of town. It was the first time Beth had lived away from home, and what a gentle introduction to the real world it had been. Beth’s thesis on the homestead’s history—however grisly—was now getting respectful recognition. At the time, Beth had worried she’d been taking advantage of Elma’s hospitality, her enthusiasm for Beth’s research, her loneliness. Still grieving after the sudden loss of her husband a year prior, Elma loved having her there, she said, loved sharing dinners with Beth and going across to Cessnock, the closest town with a cinema, to see a movie together every now and then. Beth had more than appreciated Elma’s company, too. Having been a tour guide at the homestead for most of her life, Elma had been a well of information rivalling the national archives. Beth didn’t have enough fingers to count the times she had found herself in a rut and Elma had saved the day—or night. Beth would be scribbling away, pen to paper, case files and autopsy reports spread across the kitchen table when the kettle would start whistling and Elma would drop a titbit about the Blaxlands that Beth had never found in print. They would talk about the history of the homestead for hours, leaving no stone of its violent, haunting past unturned. In six short months, they became like family to one another. Following Elma’s tour groups from room to room and listening as Elma answered basic questions about familicide and sisterly jealousy had offered Beth a sense of safety in a house that had once known nothing but darkness. Elma had been the grandmother Beth never had, and when they’d hugged goodbye at the end of Beth’s research stint, she’d told Elma just that. Elma had lowered her sunglasses to hide the tears Beth had already seen welling in her glaucoma-ridden eyes. I’ve come to love you, my smart girl. There was no doubt about that. Especially now. Beth turned down Derby Lane. She knew the fibro house was halfway down the block—she’d Google-Earthed it two days prior. The image that had stared back at her from the screen had warned Beth to lower her expectations for her arrival, but the street was much nicer than the Internet had led her to believe. While the houses weren’t anything to write home about—boxy weatherboards with low, paling fencing—the street was tree-lined and incredibly colourful for the middle of May. Tree roots upended the narrow footpaths in that laid-back, country-town way that said, it’ll be right love, watch your step here, no harm done. Olive green lawns were well-kept, and the dozen maples that rose to tease the powerlines were charming with their blood-orange fullness. Across the street, a middle-aged man bringing in his garbage bins paused to wave as Beth pulled alongside the curb. She waved back. Note to self: Friday night is bin night. Rose Plympton must have heard Beth’s car, or the screech of the front gate, or her feet climbing the veranda stairs. Beth didn’t get a chance to ring the doorbell before Rose slipped into the hallway, a distant, shadowy figure beyond the fly screen. The closer Rose came to the door, the more apparent her beauty. Beth had never seen anybody who suited their name so perfectly. Her hair was dark, her cheekbones high. She didn’t look much older than Beth’s thirty-seven, maybe by a few years, if that. She was slender, almost too slender, Beth thought as she watched Rose wrap her arms about herself to fight off a shiver. The gesture made her seem even smaller, her walk all the more graceful. Rose was not at all what she had been expecting. House-hunting through a Facebook queer-housing group certainly has its upsides, she thought. She followed Rose around the veranda to an external flight of stairs up to the second landing. “There’s no hurry,” Beth said. She stood back as Rose fiddled with the lock to the door on the landing. Rose’s brown hair shined copper in the sun, the gentle waves flitting about her face as she focused on the double lock. Beth looked past the way the sunlight caught on the silvery elbows of Rose’s glasses to find concentrated pools of hazel. Rose was stunning in a reserved, buttoned-up way. She pushed the door open and gestured for Beth to step inside. “You won’t be saying that in a few days’ time,” Rose said softly. It sounded like a joke, but Beth wasn’t so sure. It was obvious that Rose was difficult to read. With a curious expression, Rose focused on her. Beth swallowed. It was unnerving to meet somebody shyer than herself, somebody who met her naturally quiet energy. Wind danced around the house, and the structure cracked. Beth started. “I don’t mind.” She was glad for it. She was so used to falling asleep to the hustle and bustle of inner-city Newtown that she worried the country silence would turn her into an insomniac. Beth wandered through the top floor. The kitchen was immaculate and smelled of lemon and vanilla. “This is definitely more spacious than I expected,” she said. “I didn’t think I’d have…” She stopped herself. “Yes.” Beth laughed breathily. “Not that I mind living with someone else,” she added. “I do,” Rose said bluntly. “I prefer to have my own space. Your flat is quite self-contained.” Her gentle smile told Beth there was no ill will, and Beth appreciated her frankness, liking her all the more for it. There was something about Rose’s gaze, the way it tracked and…tested, that made her anxious. Beth didn’t feel like spending the next whatever-amount-of-time hyperaware of everything she did and said in the comfort of her own home. “Eric says you just got a job here,” Rose spoke up. Eric had helped link them. Initially, Beth had posted a query in a Hunter Valley LGBTQ house-share Facebook group in search of a room near the Lakes. She didn’t think she’d actually be lucky enough to find one in the middle of town, especially on such short notice. Rose hadn’t responded to Beth’s post, but a man named Eric had. He’d private-messaged Beth and asked for permission to forward her contact details on to his friend, Rose, who had a room for rent but didn’t use Facebook. Rose was gay too, he’d assured Beth, but Beth had been past the point of caring about the sexual orientation of her future housemate. In fact, she’d been so desperate for a place to stay that wouldn’t cost her an arm and a leg that she’d forgotten the housing group was specifically LGBTQ. “That’s impressive. Where did you get your doctorate?” Rose asked. “And what do you do for work?” Beth asked. Dylan O’Connor. Beth’s solicitor hadn’t told her much about the twenty-seven-year-old live-in tour guide who lodged in the shoebox-sized loft Beth had once called her own bedroom. She wasn’t miffed about the fact that it was occupied—she had zero interest in playing slumber parties in the homestead with a stranger. In fact, she had zero interest in going anywhere near the house in which she’d once had such a profound interest. But for an estimated three million at last valuation, she could oblige. “You know her?” she asked. Perfect. Just what she needed to hear. She wasn’t so naïve to expect that the live-in tour guide would be happy to suddenly pick up her stuff and move out at Beth’s behest so that it could be sold, but it was still jarring to hear. Beth hadn’t come to the Lakes to drop a bomb or ask to be bought out. Not right now anyway. Her solicitor had told her that Dylan hadn’t expressed an interest in selling, and Beth wasn’t there to make demands, to stir up trouble. That was what horrible people did. It was such a cliché. She owed Elma more than that. The house whip-cracked in the wind. I’m sorry for my gain. Beth didn’t have the heart to confess that she’d been dancing away under the stars on the pool deck of a cruise liner the day Elma had been buried. To make matters worse, she hadn’t even phoned Elma for six months before her death. She’d been putting it off and putting it off, Call Elma scribbled on notepads all over her house. There was no reasonable explanation for Elma to leave Beth half of the estate, and it was heartbreaking to think that she considered Beth close enough to include her at all. The wind swept at Rose’s cardigan as she descended the stairs and disappeared around the side of the house. Beth closed the door behind her and looked around the cosy space. If I have a girlfriend? Beth rubbed at her face and groaned. Later, she could die of embarrassment from making that faux pas. First, there was unpacking to do. At the kitchen counter, Beth nibbled on the leftover sandwich she’d bought before she’d left Sydney. It had that day-old, service-centre taste: the tomato overripe, the bread soggy with ranch dressing. But it was better than nothing. Beth swiped breadcrumbs off her laptop keyboard and typed “The Blaxland Homestead” into the search engine. Images of the house swirled onto the screen. Now that she was there in the Hunter Valley, the fact that she was renting in Jembala Lakes rather than checking into a bed and breakfast seemed profoundly presumptuous. Dylan O’Connor had made no contact with her. Obviously, somebody needed to take the first step, but what if her initiative wasn’t welcomed? Sure, she hadn’t just driven up for the weekend to draw straws with her co-inheritor, but she was about to invite herself into a workplace to take up a job offer extended by a deceased woman’s words in a three-year-old will. Elma’s will outlined Beth’s entitlement to half of the homestead’s income from the historical tours—if Beth played a role in the business with her co-inheritor. In the event that an inheritor does not assume managerial duties, the income from the business remains solely with the inheritor actively managing the business. Her solicitor had only briefly explained the clause, convinced that somebody like Beth wasn’t going to relocate to a country town for a tour-guide’s salary—assuming that it was even enough to support two people. However, now unemployed, Beth figured she could take some time to become reacquainted with the house. Her credit card debt could slowly dwindle on what must surely be a modest income while they figured out their options. She hit the down key on her laptop and raked her eyes over the Yelp page for The Blaxland Homestead. This tour is unbelievably good!! The house isn’t too far off the motorway. If you’re coming from Sydney, take the Maitland exit at the end of the M1. Only about 20 minutes out from there. A few places in town to eat. I recommend the local pub by the lake. But save lunch for after the homestead—place is a bit sick with all of the death stuff. The worst is the uncut (no pun intended!) murder scene from “The Blaxland Files” playing in the first room you go into—for heaven’s sake, even the Television Code of Practice banned that scene from air! The tour is supposedly ages 12 and up, but that’s only if your kids have the temperament of Wednesday and Pugsley Addams. Pretty gory if you ask me! Tour is very informative, though. We had Dylan as our tour guide. She took us into each room and explained what happened there. 5/5, I’d say. Wouldn’t recommend for kids under 14. Or anyone with a weak stomach. Our NSW Adventure Tour stopped here on the way to Tamworth Country Music Festival. We had Dylan as our tour guide. What a character—very witty, should be on stage. She knew everything about the place and was great with my eleven-year-old, who had a lot of questions. We had an elderly couple on the tour, and the elderly woman had a lot of problems going up and down the stairs. Dylan was very patient and did her best to help the woman out, setting up chairs, helping her into each room, making her feel at ease. The woman was obviously embarrassed about holding the tour up, but Dylan made jokes to make her feel comfortable. She speaks very quickly though, so you have to focus to catch up. Visited here while chaperoning my son’s school history excursion. Interesting place. Tour guide Dylan is great, but doesn’t really have a filter once she gets on a roll. Bit of an oddball. This house gives off a kind of electricity that makes your skin crawl. There’s a bathroom just off the hallway if you need to throw up after seeing the postmortem photos. Parking is great, though. Don’t come here if you’re squeamish!!!! Best historical tour in Australia! Now, you may not realise it if you’re from another country, but gee whiz did this case have an impact on Australian history! Divided the whole bloody country! Can still remember studying this case in school back in the seventies. Sarah Blaxland was the first Aussie woman tried and acquitted for murder. Come on, her grandmother was an escaped convict—of course it was her, it was in her blood! The Blaxland trial marked the first time Australia questioned whether a woman of Sarah’s social standing was capable of something this bad. She got off too bloody easy. Guess you’ve gotta think about the way it was back then—nobody wanted to hang a woman. Doubt it’s actually haunted, so don’t go here if you’re just going for the gimmick. It’s not really about that. It’s about Australian history. This is a real haunted house! Took my family here in January—one of the hottest days of the summer. And guess what? Cold spots everywhere. My wife said that a hand touched her on the elbow when she was taking the stairs, like someone was trying to help her up. She thinks it was the brother, because he was a real gentleman apparently, a real ladies’ man in town back in the day. As soon as my wife told everyone on the tour that someone touched her on the elbow, my twin daughters both said that something touched them on the back of their necks. Maybe Sarah was jealous of the attention her brother was giving my wife and was threatened by my daughters, too? I was a bit irritated by the tour guide. She didn’t believe my wife and daughters, thought they’d made it up for attention. Needless to say, not impressed. Rude. House was cool, but that’s not why I’m here on this site. Look, I’m not gay or anything but…the tour guide is really hot! Like, I-can’t-stop-thinking-about-her hot. Story is interesting, too, I guess. Reply @AussieGal87 I’m with you on this!! I think I fell a little bit in love! At the counter, Beth straightened. It was three-forty. The last tour listed for Saturdays was at four. She swiped up her coat and keys.